The approach from Attical gives you a view of the spectacular Great Gully. The eastern slopes are dotted with quarries. 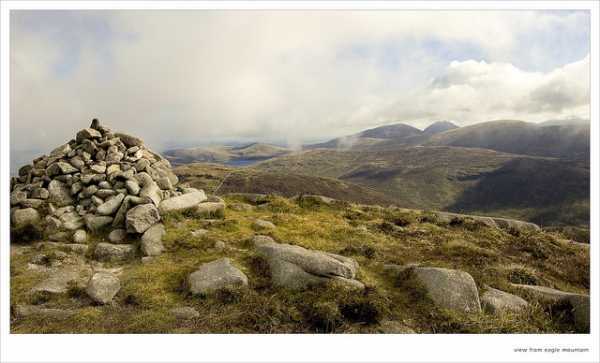 Eagle Mountain is the 223rd highest place in Ireland.